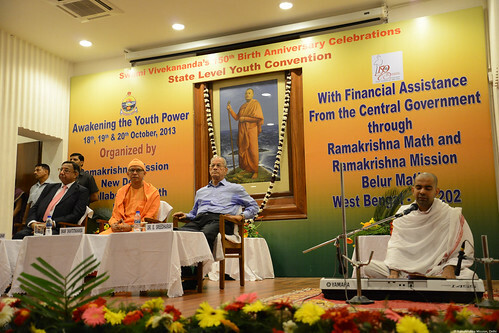 Ramakrishna Mission, Delhi conducted a three day State Level Youth Convention – ‘Awakening the Youth Power‘ from 18 – 20 October 2013. 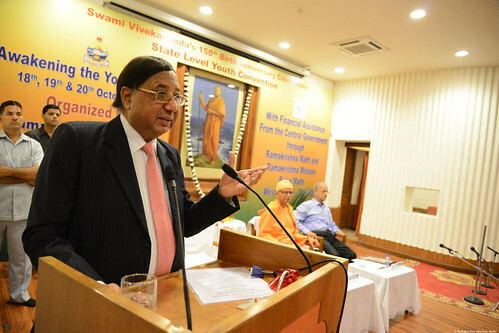 During at the Valedictory Session on the third day (20 Oct 2013) of the Youth Convention, Dr. Ashok Chauhan spoke to the participants. Dr. Ashok Chauhan, a renowned educationist, industrialist and philanthropist, is the Founder President of Amity Education Group, India’s leading global education group comprising of 5 Universities, 150 institutions, 6 Global Campuses, 17 schools and Play Schools with 95,000 students and 3500 faculty, researchers and scientists. He is also the Chairman of the AKC Group of Companies, a leading conglomerate with diverse business interest in plastics, pharmaceuticals, finance, construction and IT. It is his dream and mission to see that India becomes a knowledge superpower by 2030.